It seems that 2017 is Bikeboard's year for presenting fast hardtails. 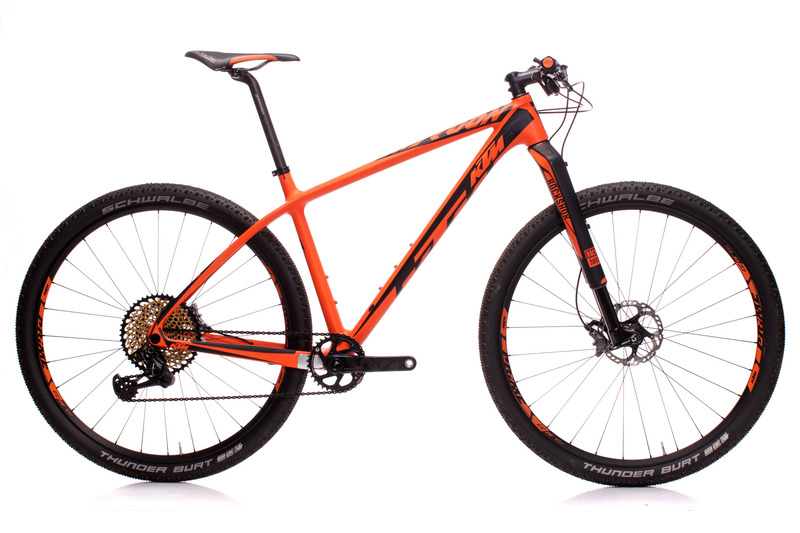 After thoroughly testing Scott's Scale and Radon's Jealous earlier in the year, we now add the KTM Myroon 29 Prestige 12s XX1 to the list. Without a doubt, those three are top notch machines that make hardtail fans' hearts beat faster – but let's not get too far ahead of ourselves. "Looks rad!" 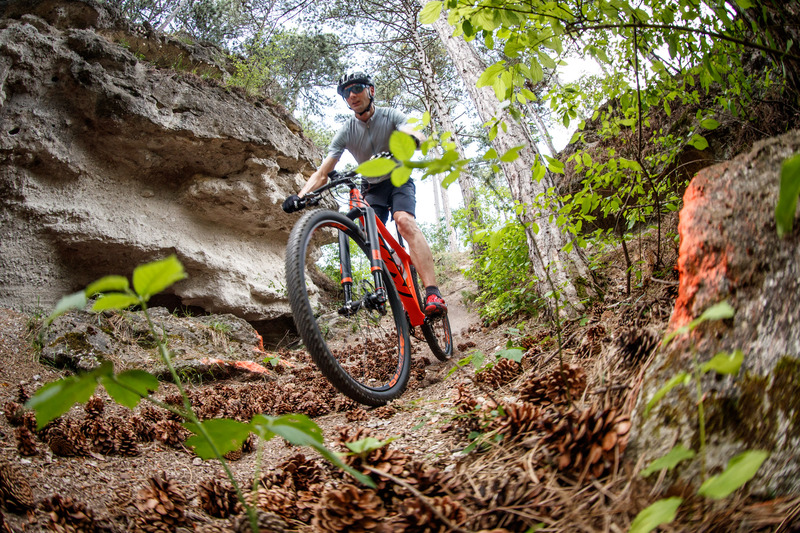 was the initial response resonating through the hallways of the Bikeboard headquarters when the author of these lines caught a first glimpse of the KTM Myroon. The anticipation was immense – the spec alone could make your mouth water. 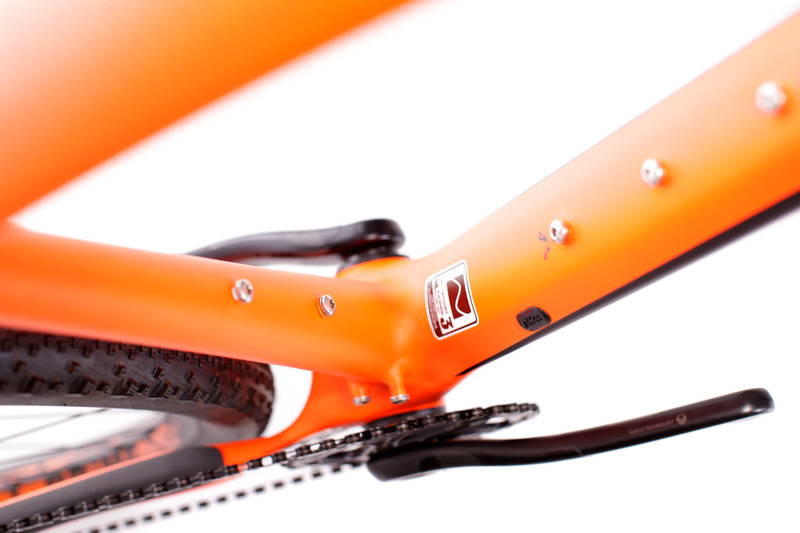 Only the finest components would make it onto the orange frame from Mattighofen, which raises the price to a level that may not be to everyone's taste. Luckily, taste is in the eye of the beholder, or in this case, somewhat defined by the size of your wallet. Specs on the one hand, price on the other, I finally held it in my hands and with only about 8,9 kg it ended up being really lightweight and really orange, the way a KTM is supposed to be. 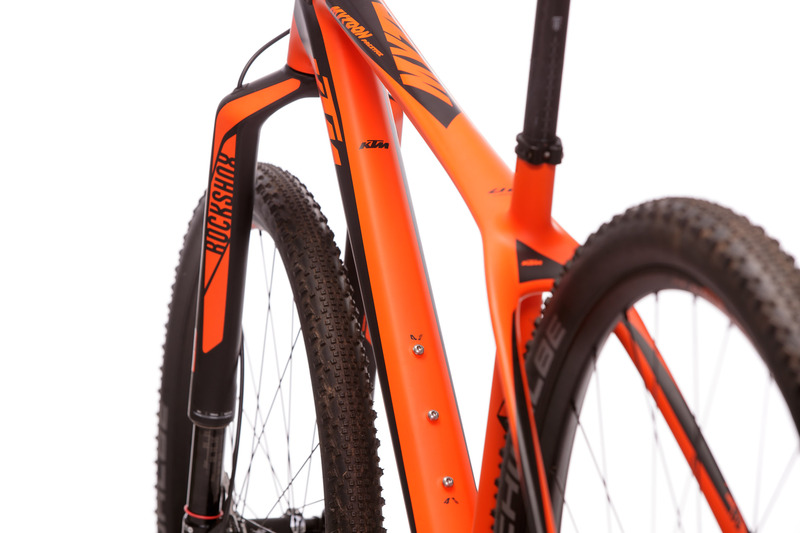 Massive tube diameters, distinct lines in the area of the steer tube and Boost standard are hinting at the possibilities out on the trails. The matt paint is slick, although it tends to scratch more easily than regular paint. 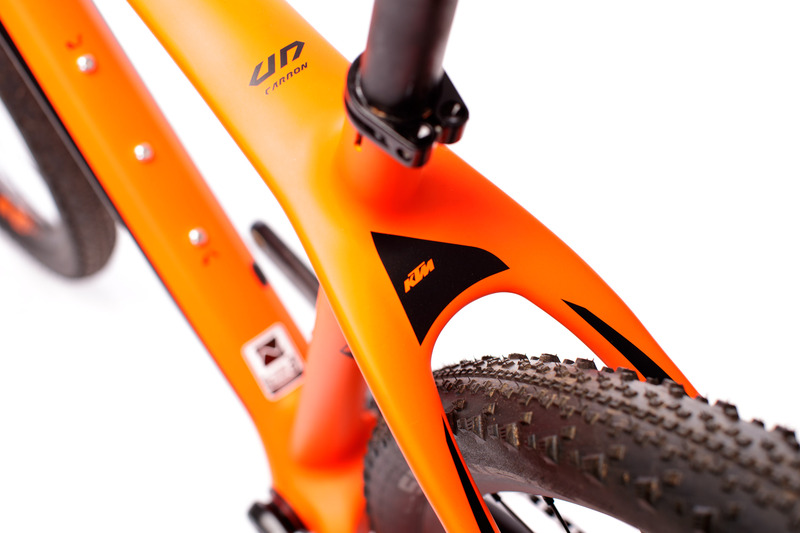 With XX1 drivetrain, RockShox RS1 and cables routed through the inside of the frame, the KTM looks clean and convincing. I like. 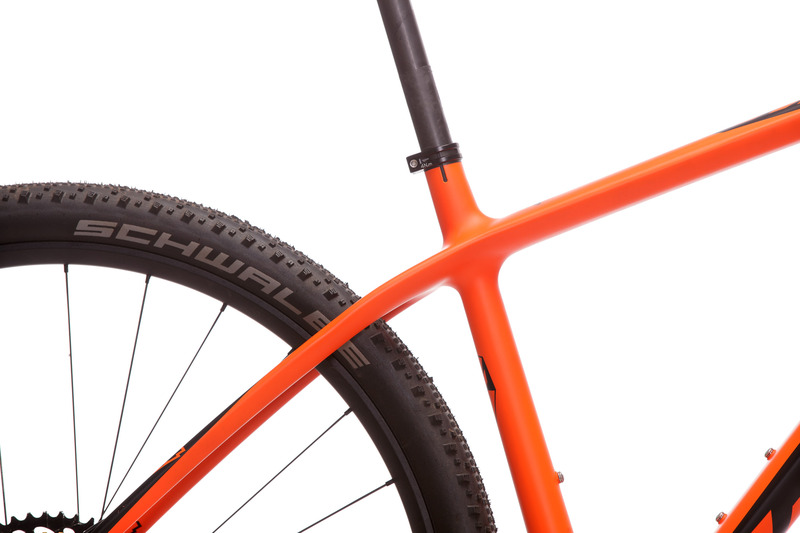 Generally speaking, the frame set is packed with smart details. A small metal plate protects the inside of the left chainstay from sharp-edged discs when installing the rear wheel in a haste or in race situations, where KTM usually feels at home. 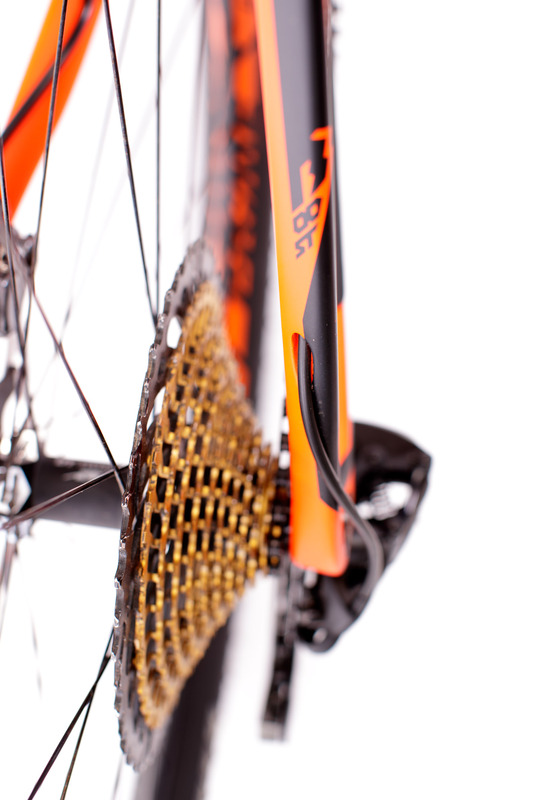 Another such protective plate is mounted on the drivetrain side between chainring and carbon. While modern drivetrains keep the chain in check well, no one is fully safe from chainsucks. Lucky for those, when chains don't bite into carbon fiber, but those plates. In order to take the Myroon 29 Prestige 12s XX1 home requires spending 5.899 Euros of your hard-earned money. But you do get some bang for your buck from the Upper Austrians. 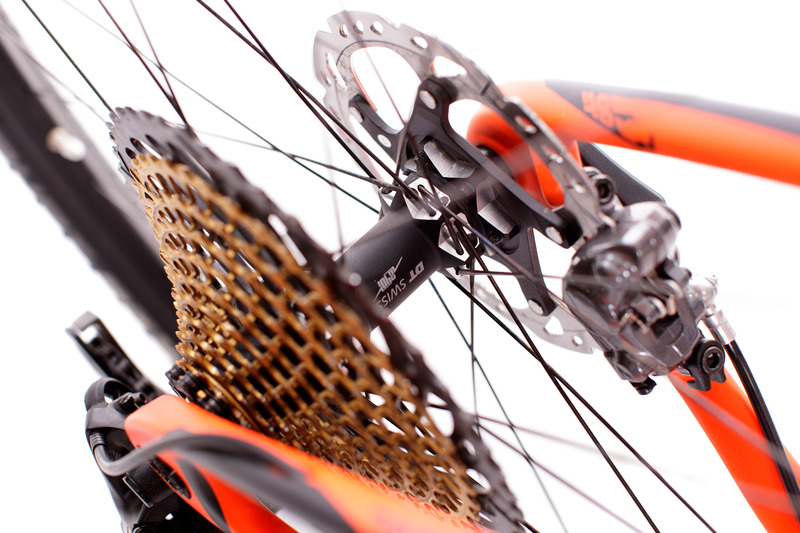 The gold shining XX1 Eagle cassette is mounted to DT-Swiss 240s hubs that are centered in DT-Swiss rims. 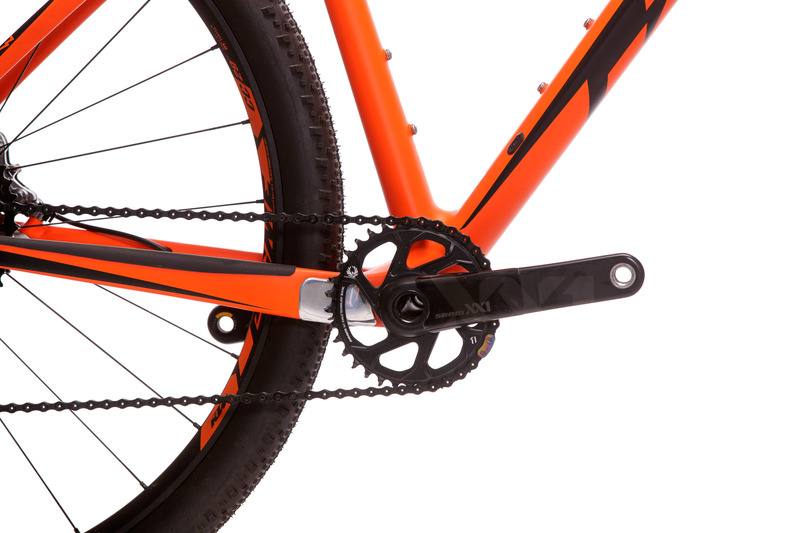 A testament to the riding speed that the bike is intended for is the large 34-tooth chainring mounted to lightweight XX1 carbon cranks. 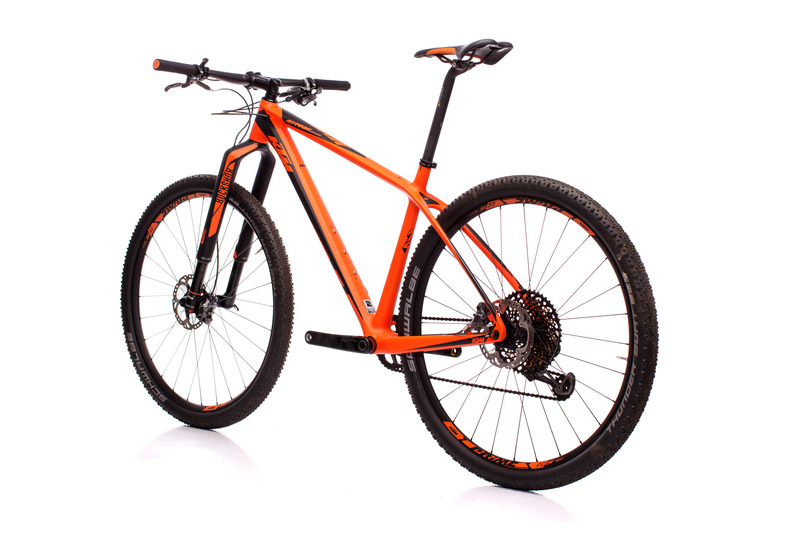 Alternative bike model versions with double chainring setups are part of KTM's lineup. 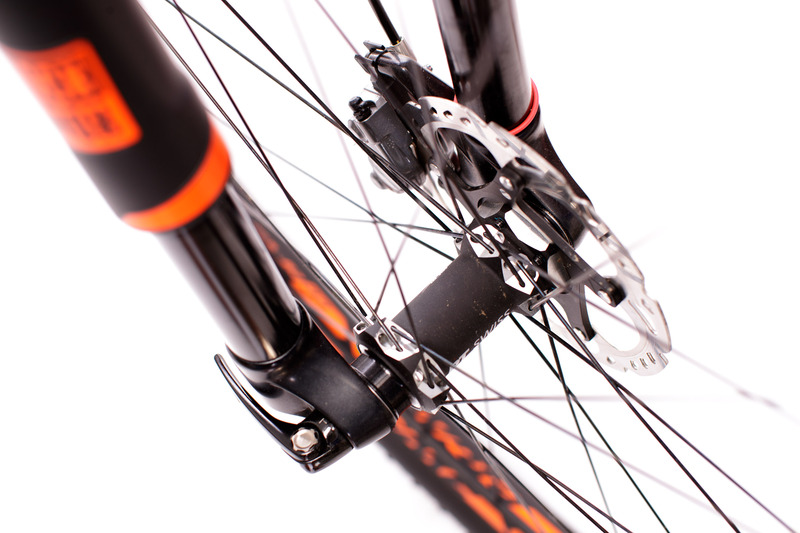 Apart from the complete XX1 Eagle drivetrain the fork is also part of the Sram/RockShox universe. Matching form and color of the Myroon perfectly, the RS-1 is World Cup proven. The brake department is handled by Japanese quality in the form of XTR M9000 with XT 160 mm Ice-Tec rotors front and rear. Lots of carbon components decorate the rest of the bike. 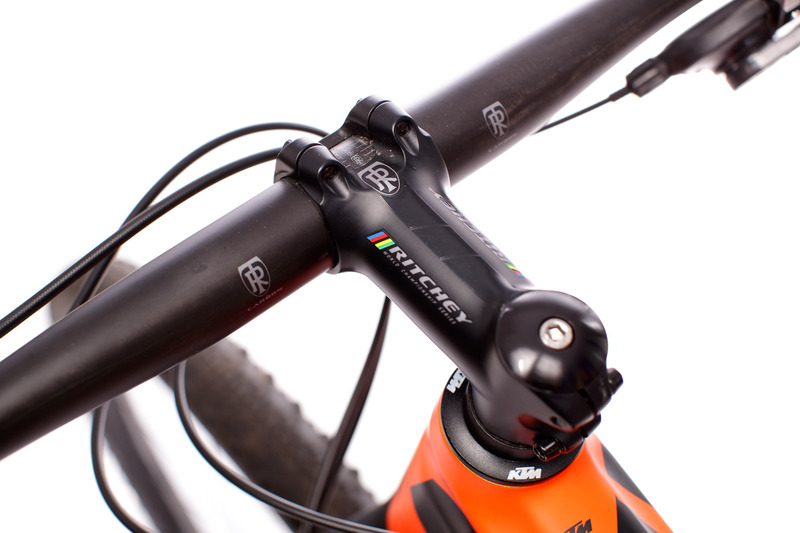 Stem, handlebar and narrow 27.2 mm seatpost are part of Ritchey's WCS series; the Selle Italia SLR X-Xross saddle is not the lightest version of the SLR family, but very comfortable. 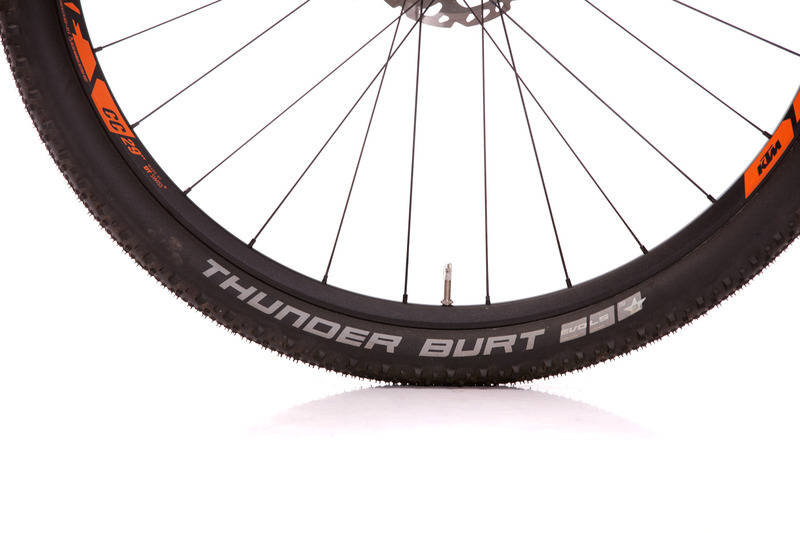 Schwalbe's Thunder Burt tires feature tiny knobs trimmed for little rolling resistance. 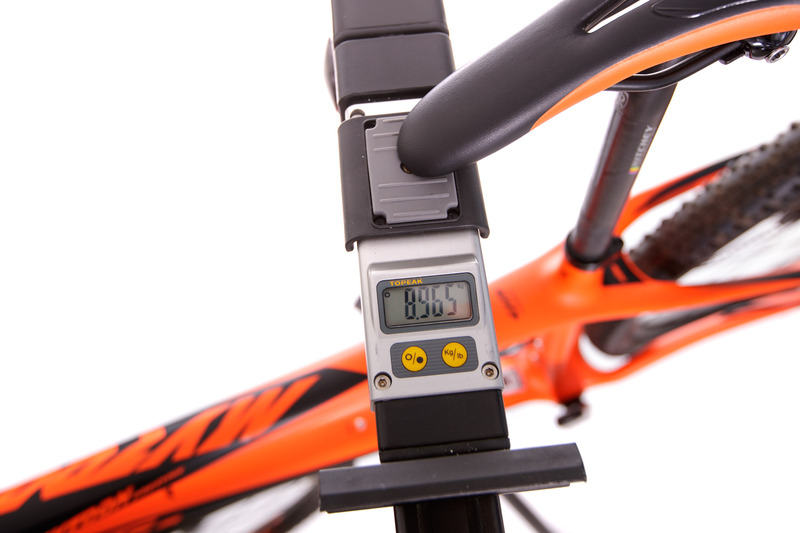 The incorruptible office scale stops at a weight of 8.97 kg in size 48. Longer, lower, slacker - the credo that is spreading like a wildfire in the bike industry doesn't really apply for the Myroon. In that regard, the first few minutes aboard the bike took some getting used to. 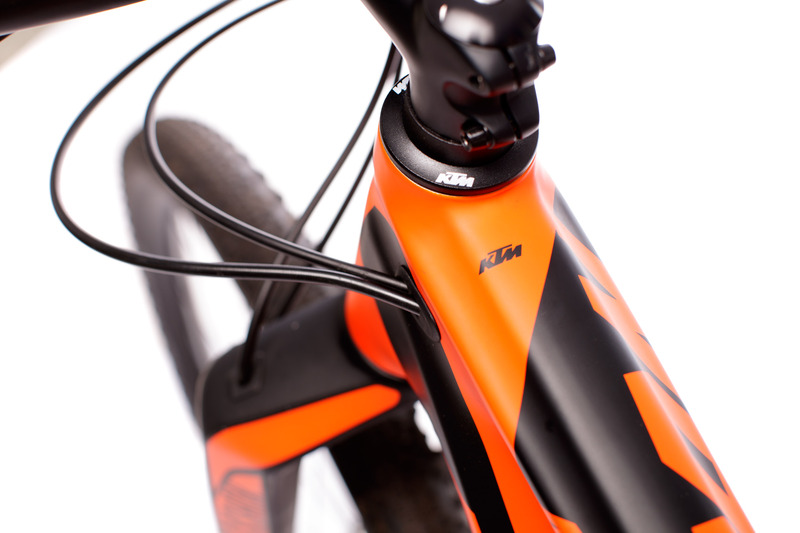 With a head angle of 71 degrees and short 430 mm chainstays, the KTM is agile, without feeling nervous or wobbly. Sitting perfectly centered in - not on - the bike, the center of gravity is nice and low. The front is a tad higher than I'm used to but at the end of the day the seating position provides a feeling of safety and comfort. 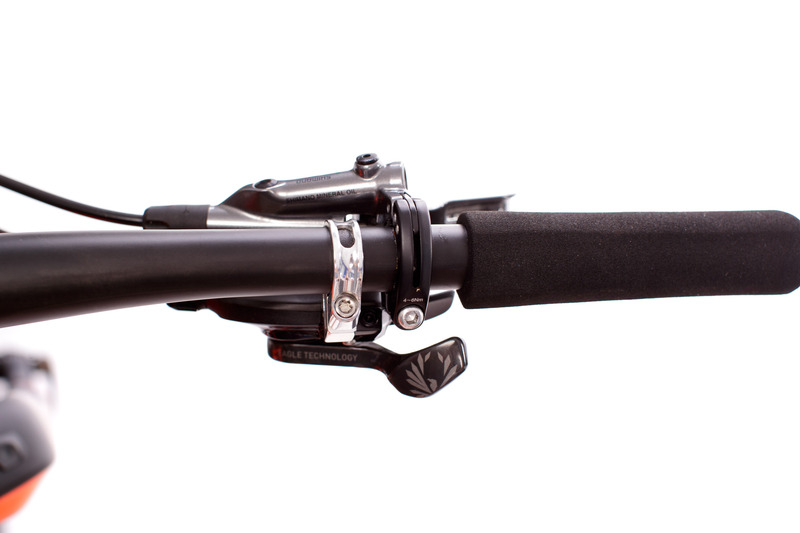 Ritchey's WCS handlebar comes in at a width of 710 mm, offering a decent amount of control when letting it rip down the mountain. 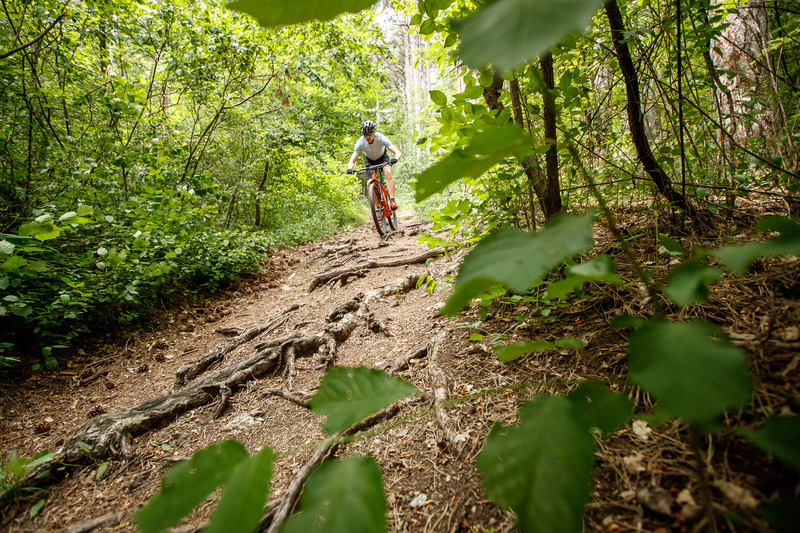 In cross-country territory, the bike is asking for its limits to be pushed all the time. A little pull on the handlebar is enough to let the 8.9 kg of liveweight dance over roots and rocks. What a rush, the constant exchange of flow, acceleration and purposeful braking. 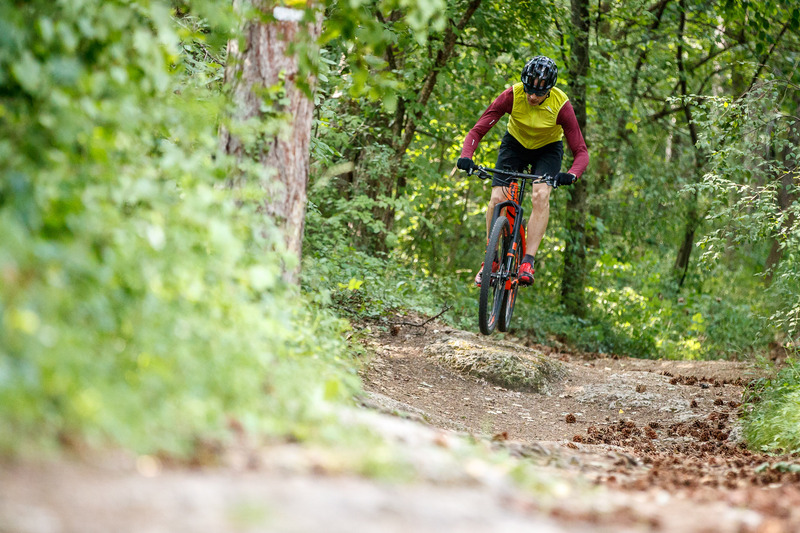 All fun aside, heavier pilots be warned when the trail turns steep and straight, as the small 160 mm disc at the front reaches its limits in that situation and things can get a bit hairy. Again and again, the brakes require a strong finger on the lever to get the bike around the corner and not let it continue straight on. The healthy advice is to upgrade to bigger 180 mm rotors. Thanks to the balanced position on the bike both wheels are easy to control, even if the narrow Thunder Burts are losing grip regularly. 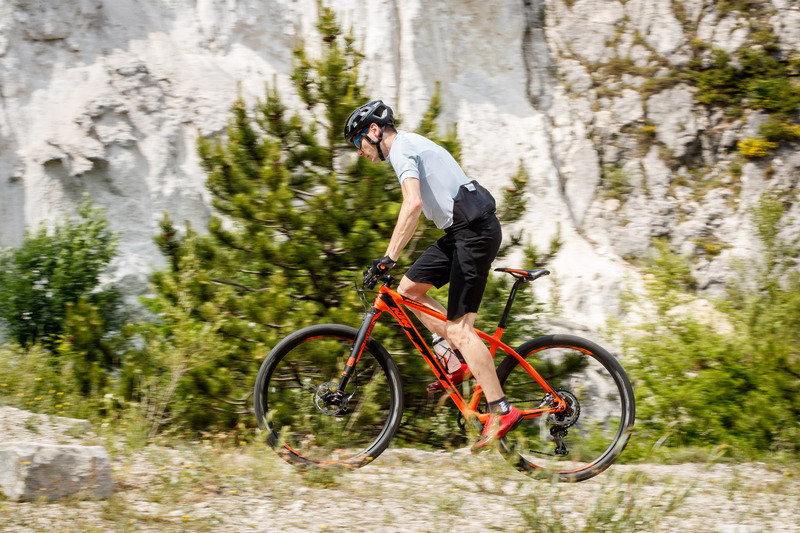 Be it the geometry, the tires or skill level, the KTM Myroon loses a bit of supremacy in direct comparison to the Trek Procaliber in rugged terrain. As soon as you're moving into typical marathon territory though, your usual self-confidence is peaking again. 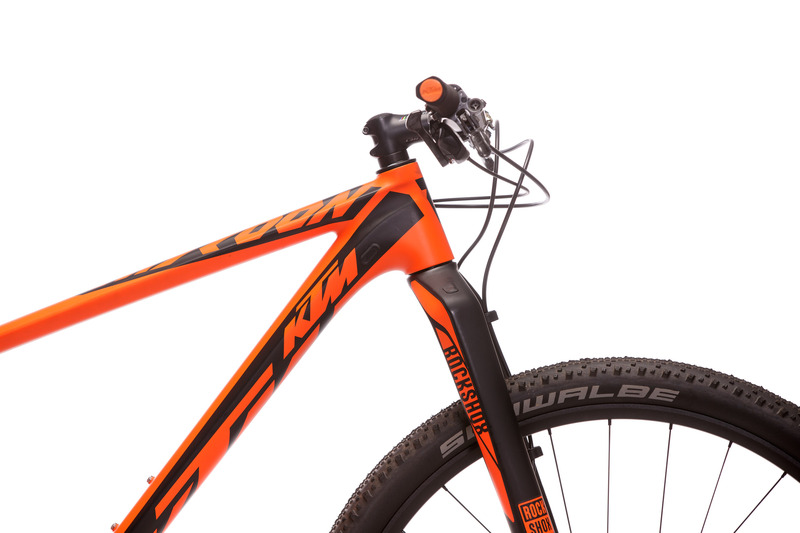 With the addition of a RockShox RS1, the KTM is turned into a real XC-weapon with the fork delivering plenty of support and riding entertainment on the trail. Delivering enough steering precision to track properly with smooth function and low breakaway, it is matching the characteristics of the Myroon with its stiff overall setup well. 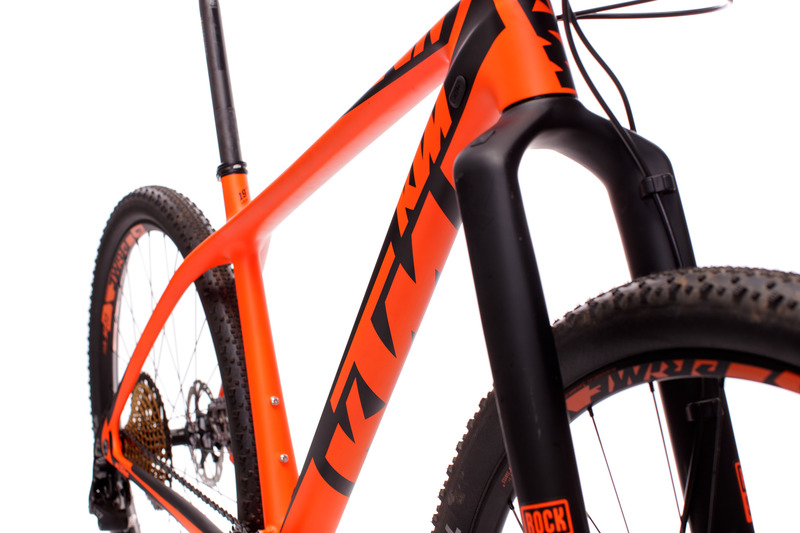 The lockout is living up to its name and the fork basically doesn't dive into its travel at all when engaged. 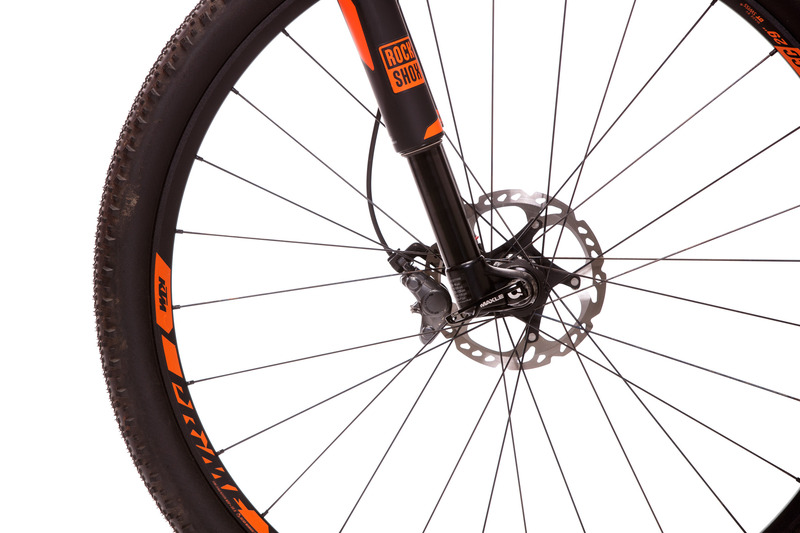 While the wheel installation takes some time getting used to, you get more practice using the mechanism than you could hope for if you stick to the regular tire setup with overly thin sidewalls. 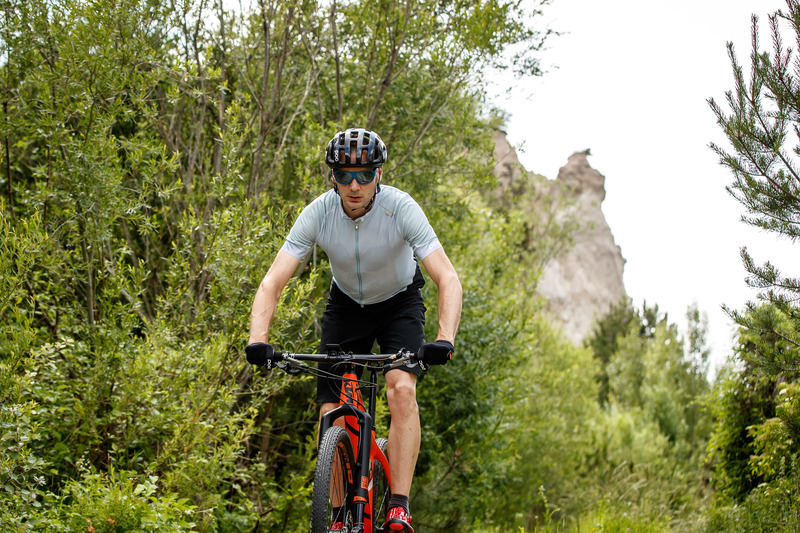 The stiff lockout and the "in-house" wheels (made by DT-Swiss) with asymmetrical 28-hole rims, including top-notch DT-Swiss 240s hubs, deliver a performance uphill, worthy of its looks. 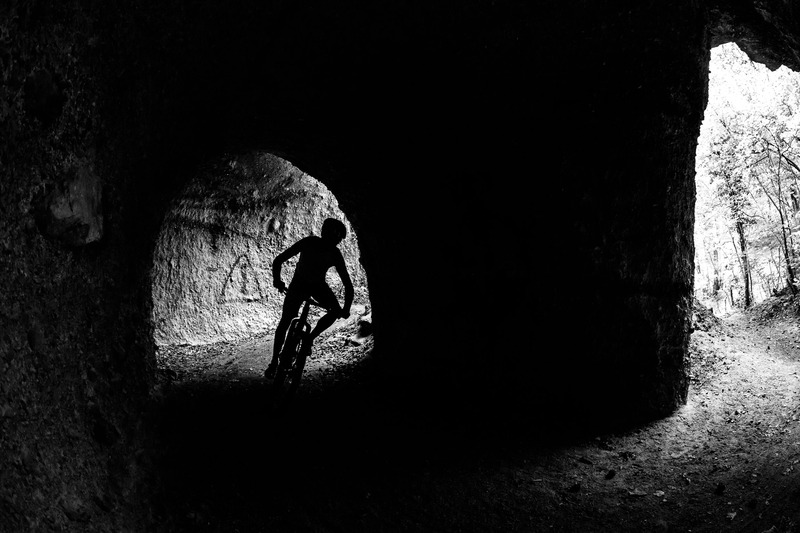 The light and stiff wheels accept changes in speed willingly. 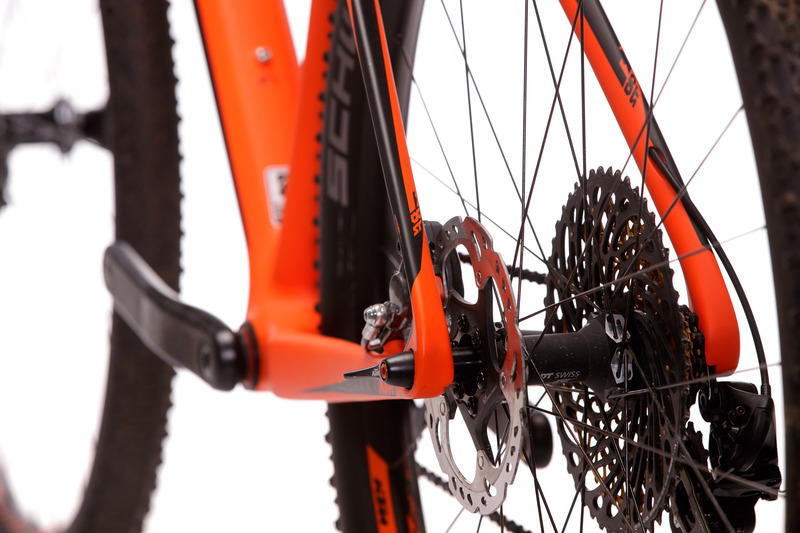 Even gravel bikers are impressed by the forward drive of the orange racer – definitely part of the reason why the Mattighofeners chose a 34-tooth chainring for this bike. It's a decision that pays off, have I never really missed a smaller ring during the test period. 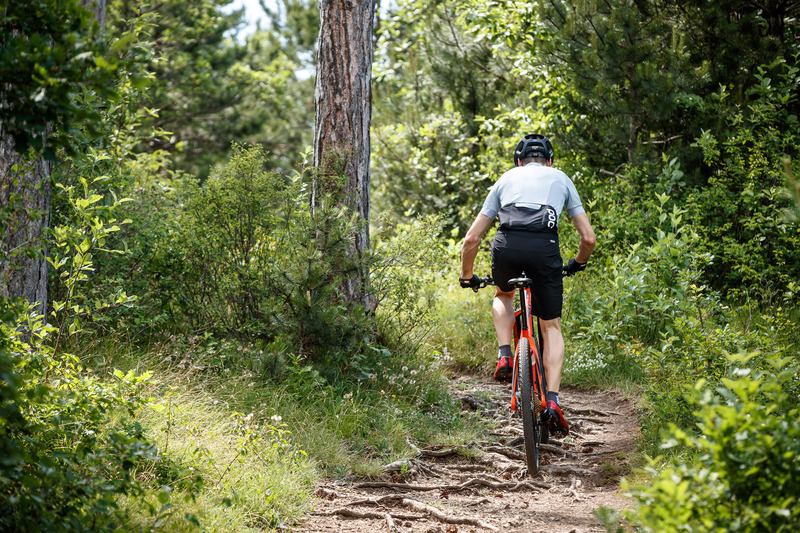 Actually, the opposite holds true: Thanks to the XX1 Eagle cassette with 50-tooth lifebelt and provided that the rider is in some kind of shape, the featherweight – in combination with the 34-tooth chainring –– is mastering any kind of climb. 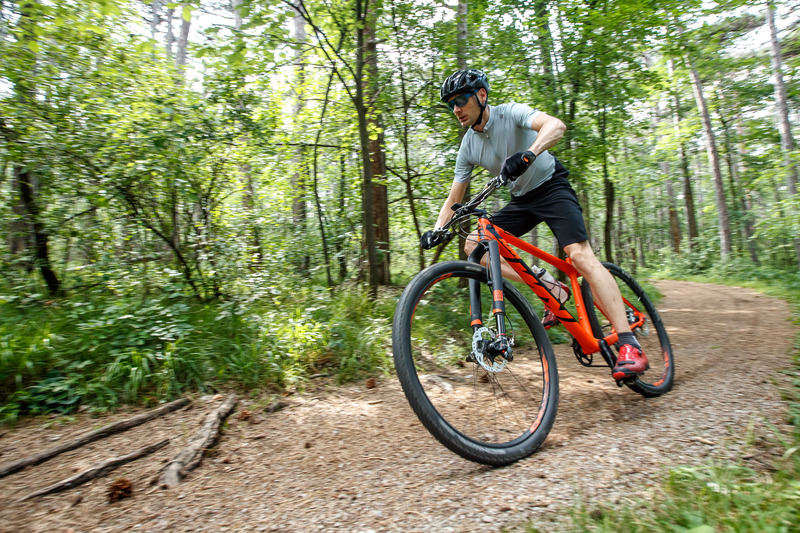 Compared to 11-speed drivetrains there's plenty of range available when hammering in the flats. 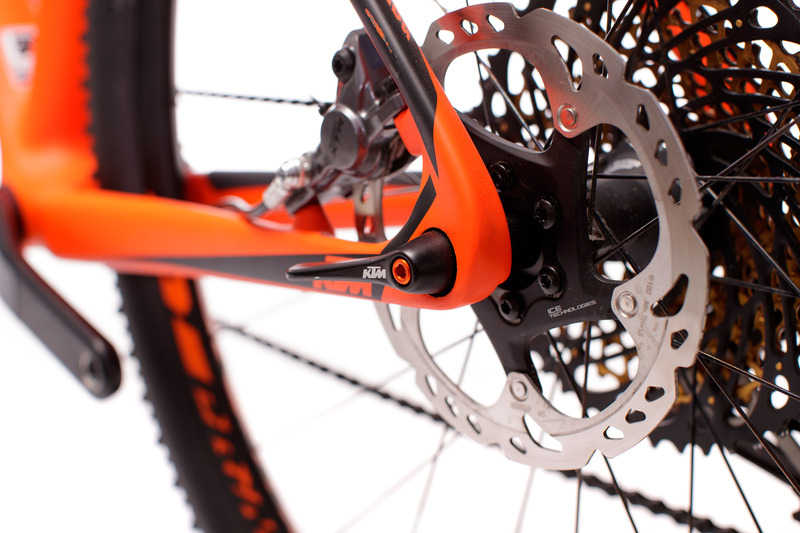 Shifting is quick, precise, effortless and in direct comparison to Sram's 11-speed drivetrain noticeably quieter. Those that haven't experienced 12-speed Eagle yet should definitely give it a try. Really steep, even technically challenging climbs are as much the Myroon's domain as fire road freeways. 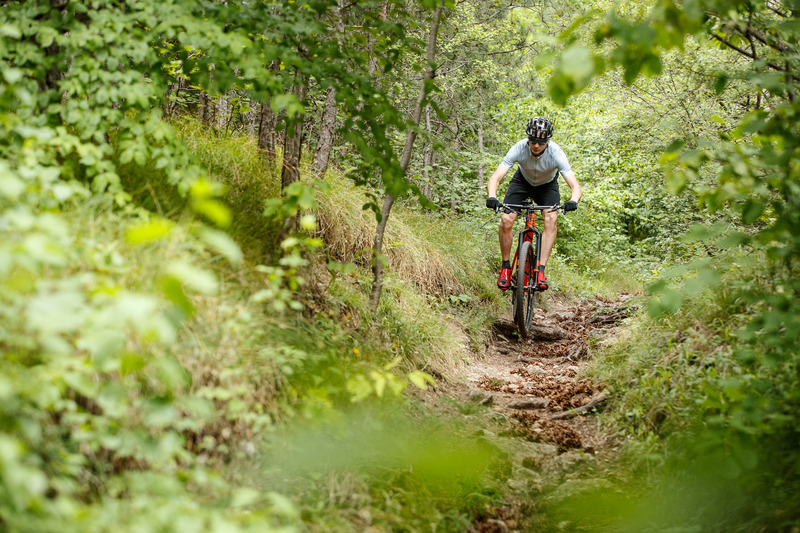 The bike handles tight passages beyond a lung-friendly incline with aplomb, never turning unsteady with plenty of pressure resting on the front wheel. The front end lifting and beginning to wander? Not a chance. 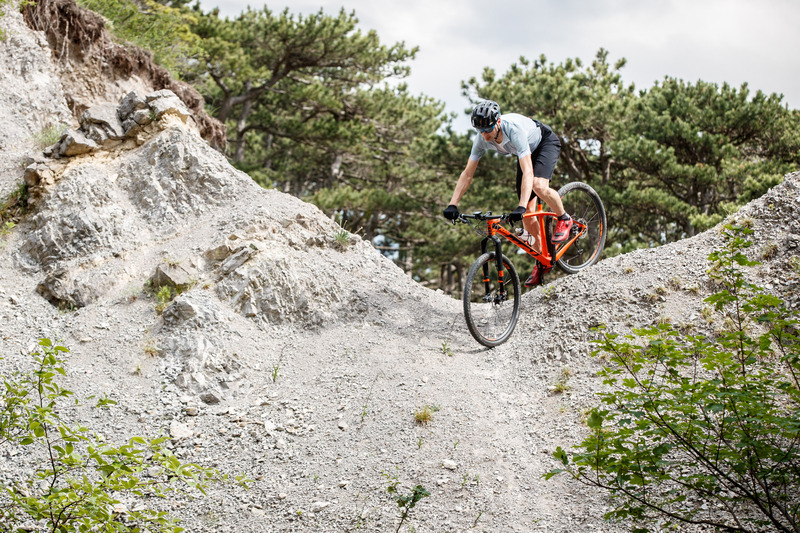 The KTM rather asks for playful handling even on the climbs. 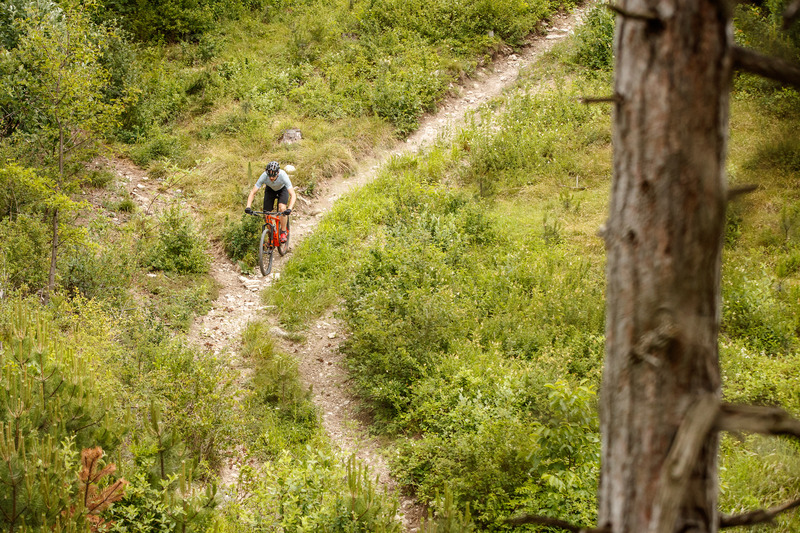 Tight and winding trails are handled with a smile on your face; thanks to the wide cockpit and narrow grips every twitch of the muscle is directly translated to the trail. And what about the riding comfort? Surprisingly, the bike is doing quite well in that department. Of course you shouldn't expect a sofa on wheels, which the bike definitely doesn't want to be mistaken for anyway. It just wants to go fast. I still award it full Goisern A course capabilities – or maybe not still, but exactly because of the successful mix of power translation and adequate riding comfort. 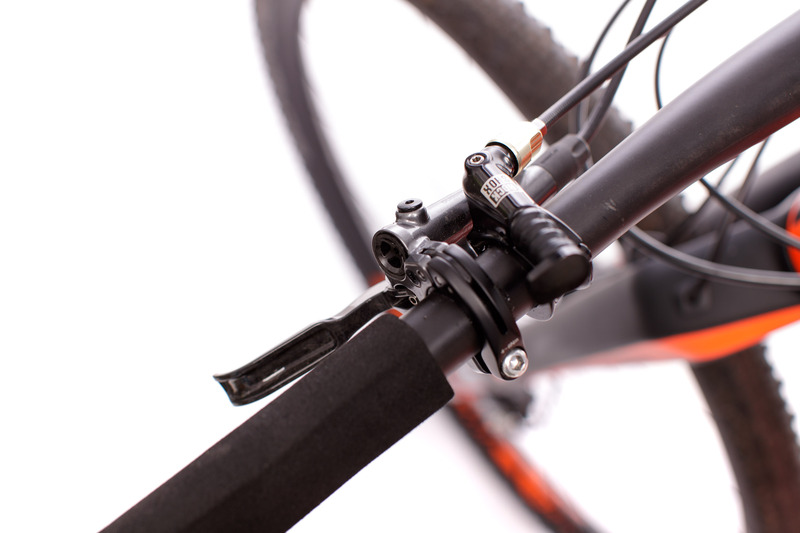 Especially the Ritchey WCS Single Bolt seatpost with 27.2 mm diameter allows for an extra helping of flex, even though it tends to make a creaking noise – even after treating it with mounting paste and grease. 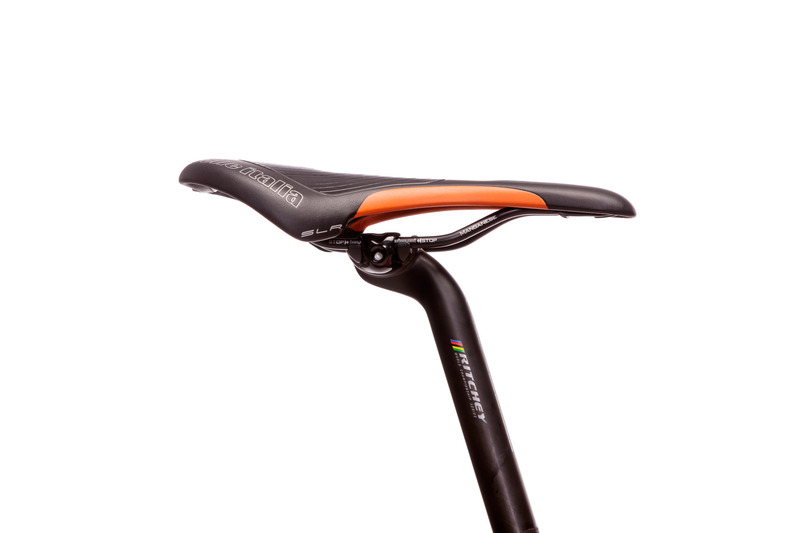 Also very comfy, at least for me, is the Selle Italia SLR X-Cross Flow saddle. It's not the lightest of its kind but I can recommend it without hesitation for long days in the saddle. If there's anything to hold against the XC and marathon weapon, then it's got to be the equipped Schwalbe Thunder Burt tires. Of course they are rolling extremely fast and are lightweight but they also lose grip extremely fast in loose and wet conditions and are equally quick at losing air: Tire defects and flats seem to come included with the Thunder Burt with Liteskin sidewall. Luckily, all-purpose tires are easily mounted. 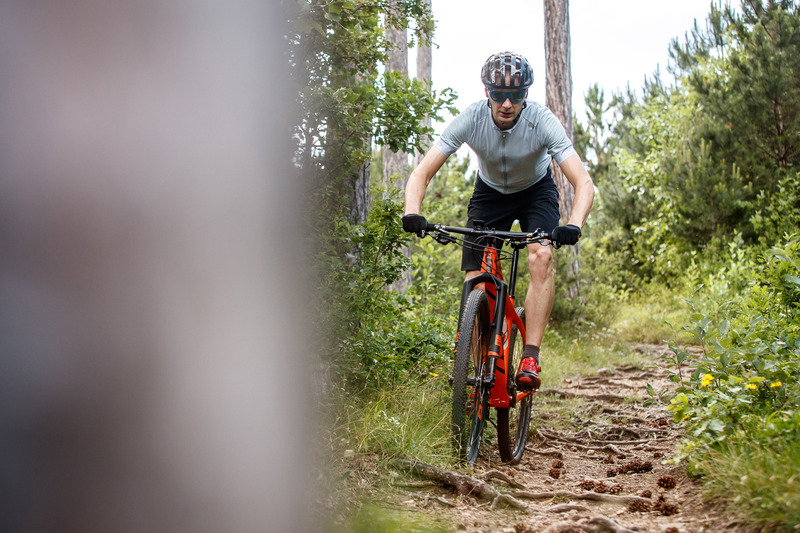 Or you just get used to its limitations and enjoy the performance on dry and hardpacked surfaces – it clearly comes down to what conditions you ride in the most. As I already mentioned, stepping up to bigger rotors could help overall downhill performance and addressing the rattling cables and creaking seatpost would quiet things down. 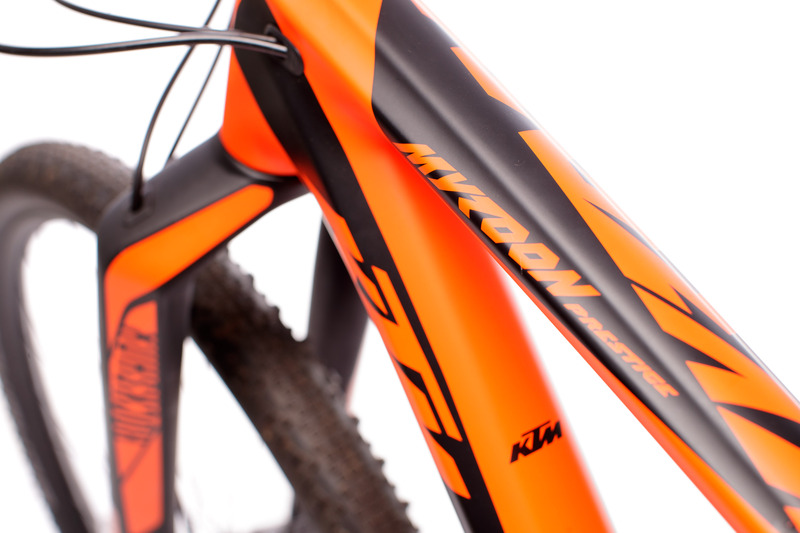 KTM has done its homework with the 2017 edition of the Myroon Prestige 12s. 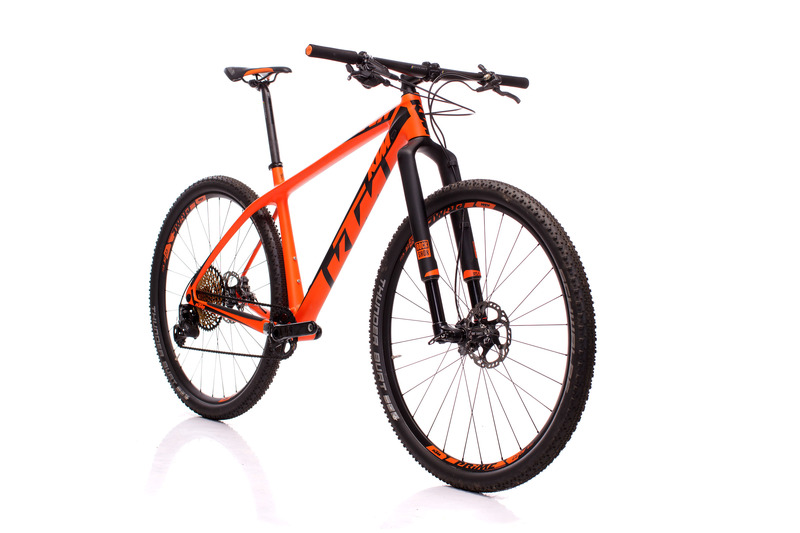 Quick acceleration, agile handling, tremendous climbing capabilities and sufficient downhill potential to handle any kind of marathon course make for a great racer. 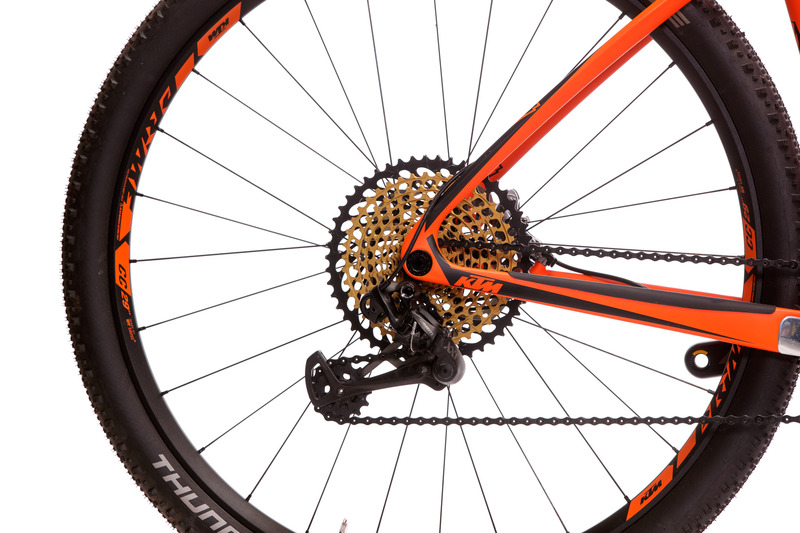 Add to that the fine selection of components with the huge range of the XX1 Eagle drivetrain that knows how to impress with crisp shifting performance. 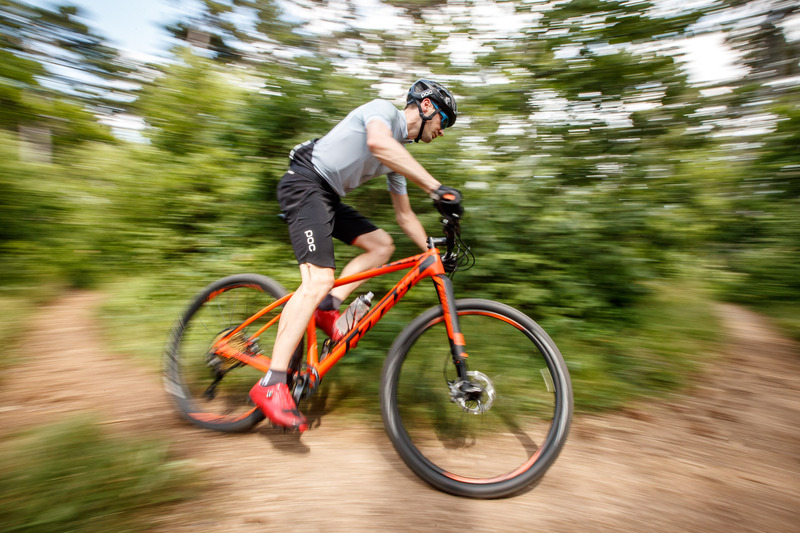 Thanks to stiff wheels and frame, the KTM loves to be effortlessly thrown around corners on tight trails as long as it doesn't turn too steep or technical. 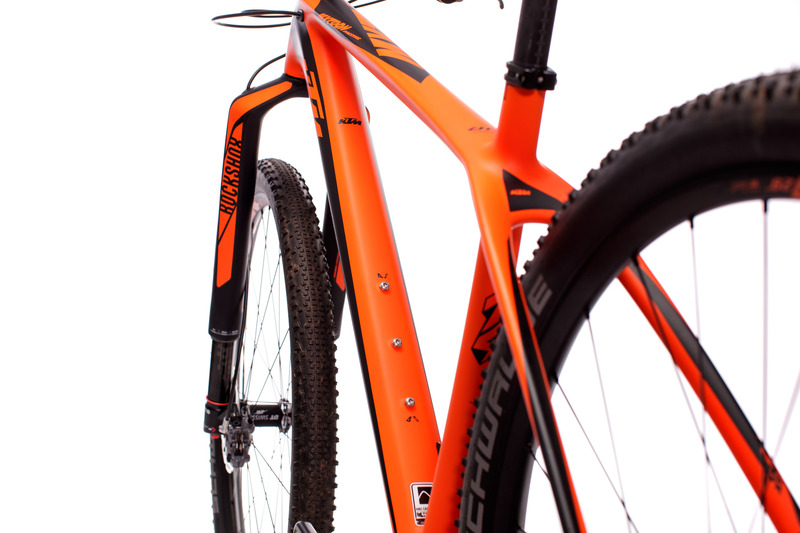 Always asking for best times it can even double as an alienated gravel bike once in a while. Only small details offer reason for complaint. 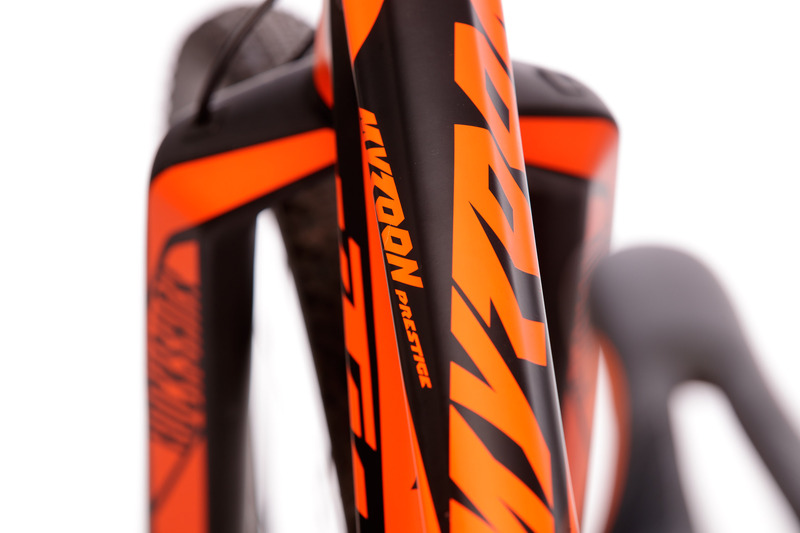 Unfortunately, the tires limit the Myroon's downhill performance and flat protection. The Schwalbe Thunder Burt may be lightweight but only likes the ground to be hardpacked and dry. The 160 mm rotor on the front is easily overwhelmed going downhill and the background noise of seatpost and cables is somewhat annoying. But at the end of the day, those complaints are easy to fix for a mechanic's hands. 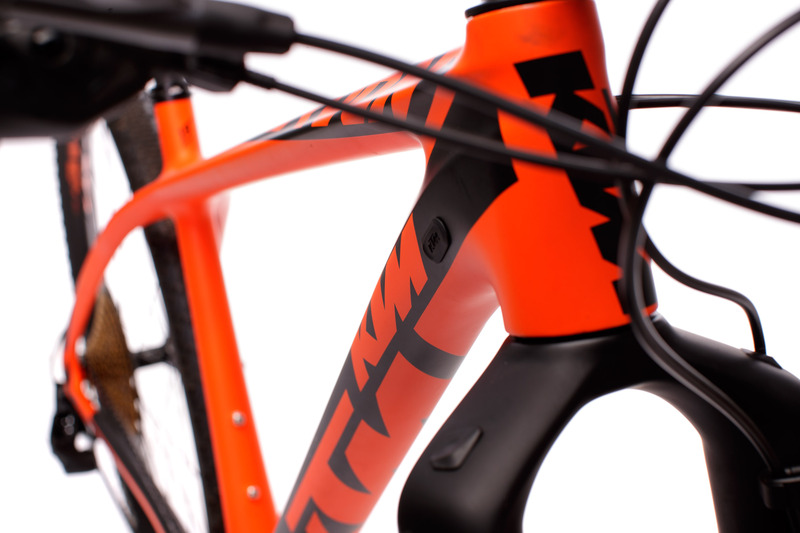 For the price of € 5,899, KTM brings a highly competitive Race hardtail to the shop floors. A pristine component spec and weight of only 8,97 kg are a further testament to that. The top model Sonic is even lighter and to cater to different preferences, models featuring double-chainrings are part of the lineup. Those looking for a forward-drive-hungry and versatile marathon racer should consider adding the Myroon to the list of possible candidates.